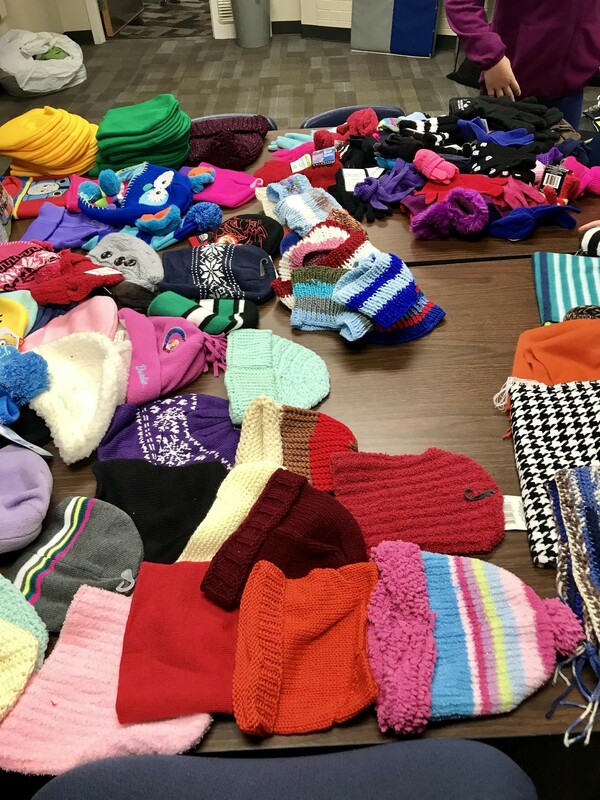 Addressing the principal’s desire to decrease student barriers to accessing school, East Antioch Elementary’s community partners pooled together resources to provide clothing, warm coats, hats and gloves to students. Church partners St. Mark’s UMC and Overland Park Antioch Church of the Nazarene collected cold weather items and UMB Bank provided Camp David clothing. 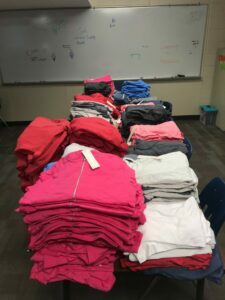 All 4th – 6th graders picked out one clothing item they would like, and 35 Panther Pride Club members were able to take as much clothing and other items as they wished.